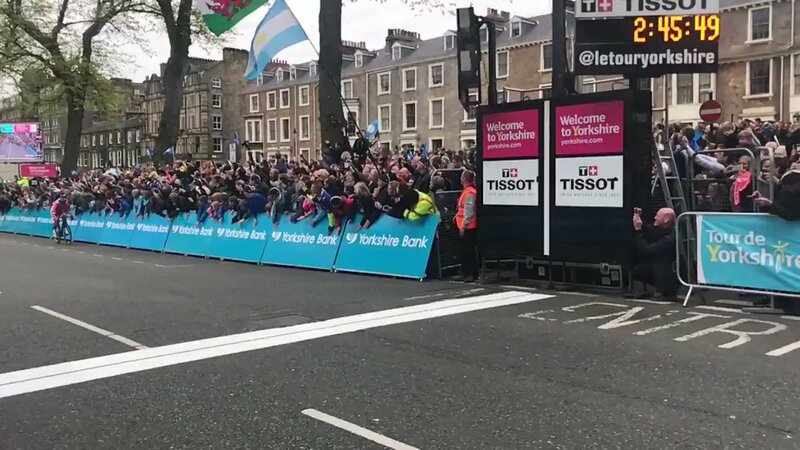 Tens of thousands of spectators have packed into Harrogate to watch Frenchman Nacer Bouhanni claim a breathtaking sprint finale to the second stage of the 2017 Tour de Yorkshire. A four-man breakaway including a trio of Yorkshiremen - James Gullen, from Scarborough, Harry Tanfield, from Great Ayton, and Rotherham's Connor Swift - got away early on in the 122.5km Tadcaster to Harrogate stage. 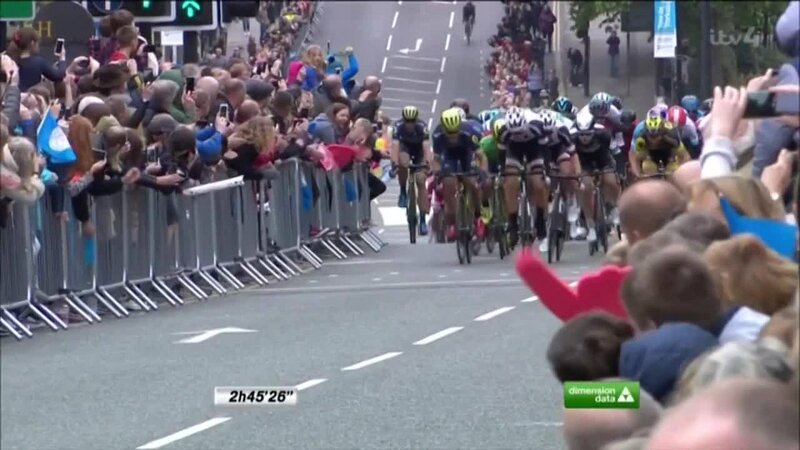 Tanfield led the race through Knaresborough, winning the first intermediate sprint, before Gullen crossed the summit of the race's only King of the Mountains climb at Lofthouse and Spaniard Sebastian Mora Vedri claimed the second sprint in Ripon. White Rose flags and crowds half a dozen deep met the riders as they swept through the towns and villages of North Yorkshire before the breakaway was caught with around 20km to go. On the run into Harrogate, stage one winner Dylan Groenewegen took his place near the front of the peloton, which had bunched significantly. But it was the Bouhanni who claimed the victory in a tight sprint to the line. More public support is expected for the riders as they take on stage 2. The Otley rider took to the front of the field with an eight-strong group following the Cote de Lofthouse.